Note to self: when I put on bling, I feel like bling. High or low, it all works for me as long as it looks fantastic! 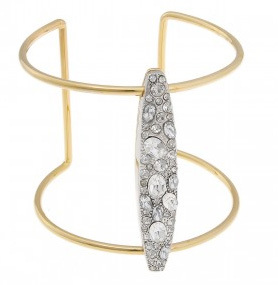 I'd like to sparkle with this pave cuff, below, that's summer-perfect in its lightness (the pave pod would look like it's floating on your skin). And I love that it's under $200. 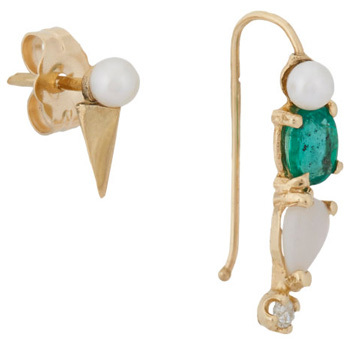 Other baubles I'd like to shine in include these mismatched pearl, gold and emerald earrings (last pic below), these delicate rose gold and topaz ear cuffs (or this single one), this fun vintage Chanel necklace, this Erickson Beamon wrap-around ring and this Oscar de la Renta bib necklace. 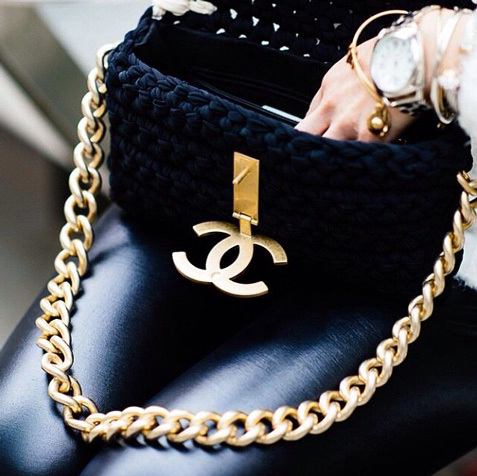 Love love love that vintage Chanel necklace! So fun.